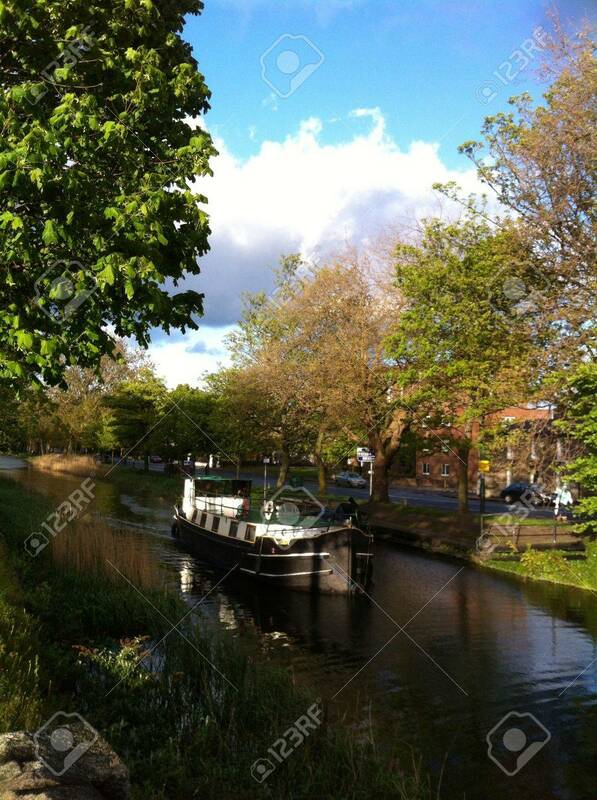 Canal Boat Navigating Along The Grand Canal Dublin Between Ballsbridge.. Stock Photo, Picture And Royalty Free Image. Image 20401638. This photo was shot with a smartphone.